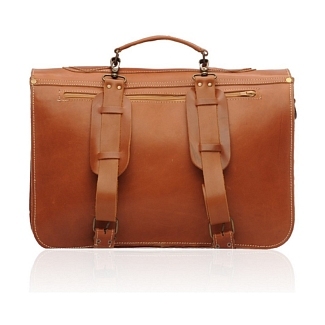 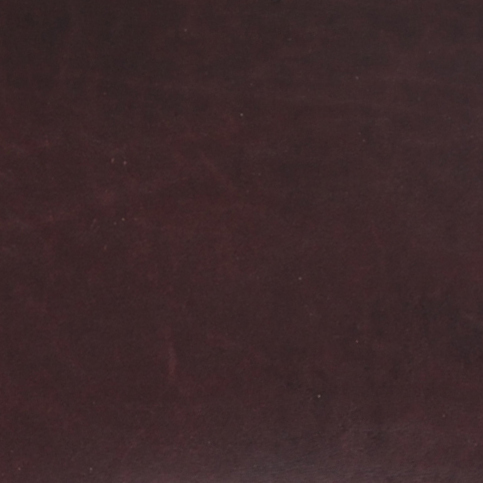 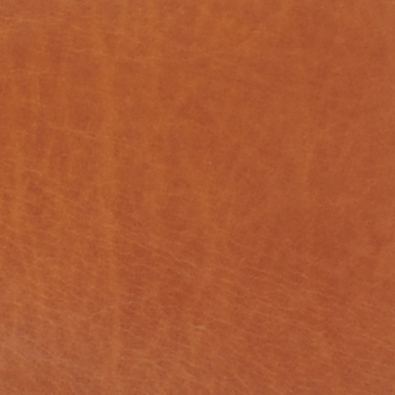 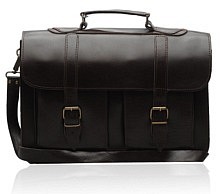 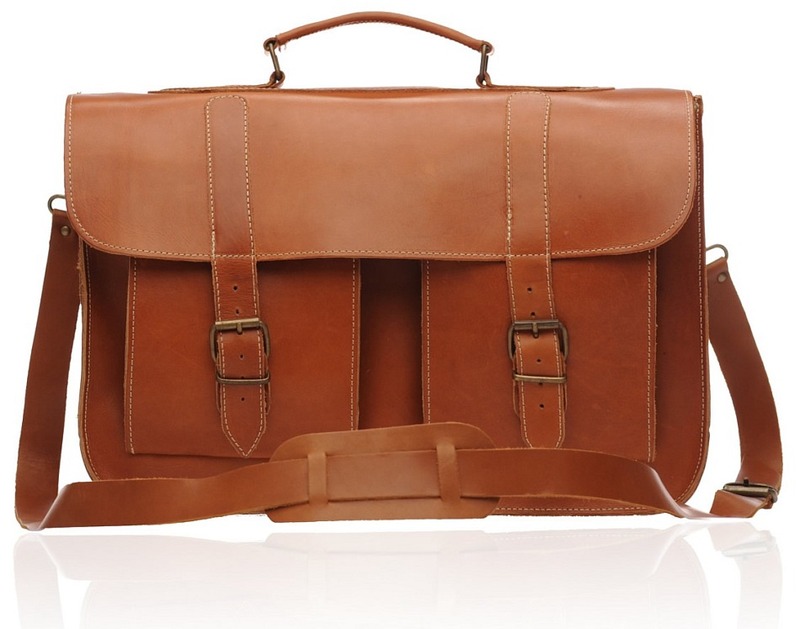 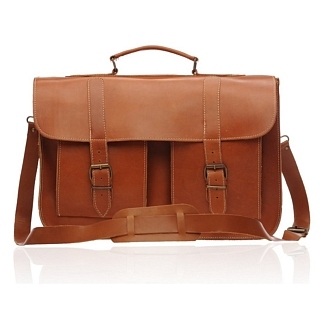 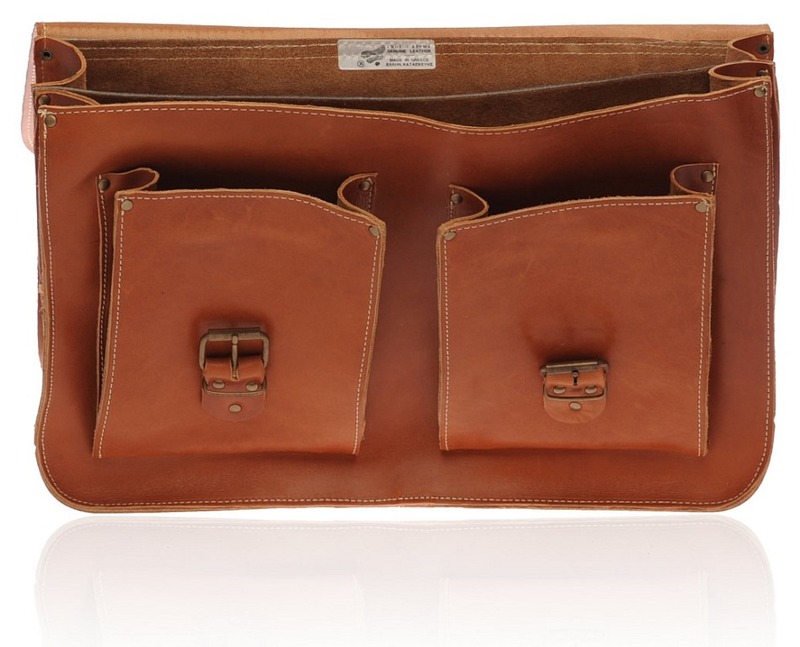 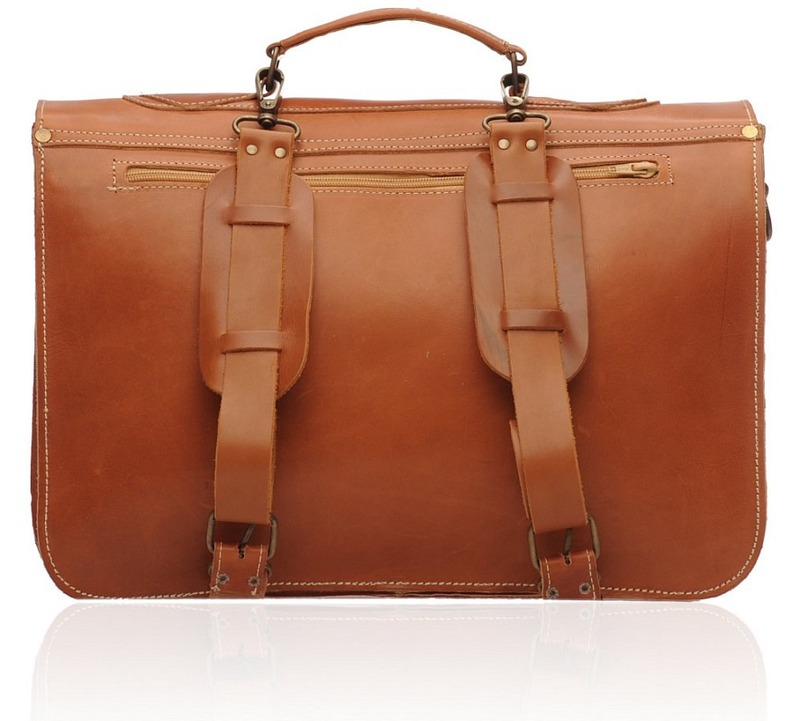 The COLLEGE Brown is a beautiful leather briefcase which is made from calfskin leather. 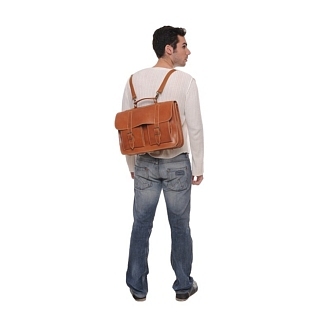 The bag is designed to include a lot of space in its compartments, as it does not have any external pockets. 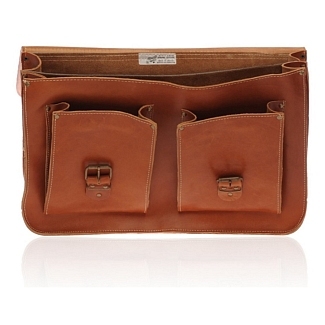 There are two pockets located in the front, while an interior divided in to two portions provides a lot of space. 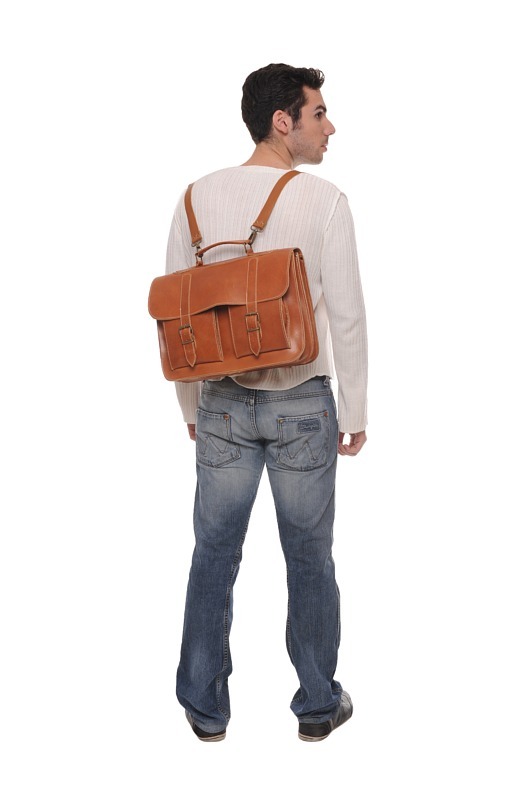 There is a back zipped pocket too. 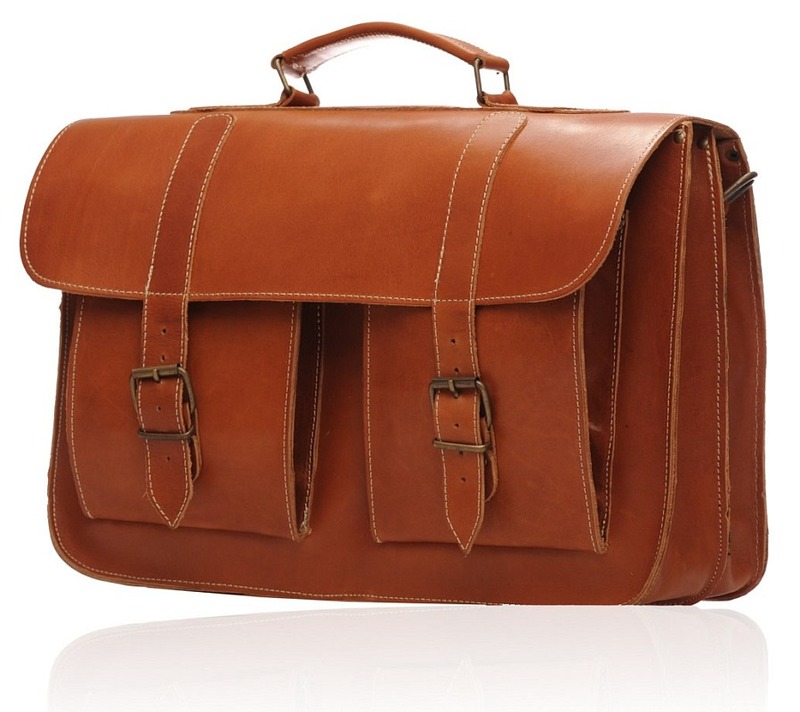 This leather briefcase has two vertical straps for carrying it on your shoulders as a backpack, but you also get the shoulder strap if you just want to carry it on one side. 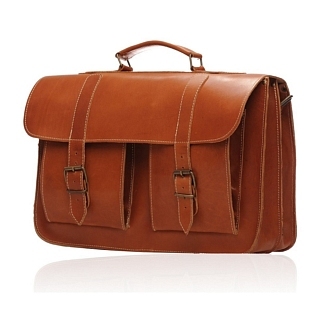 This bag is perfect for men and women both and looks really nice.